You can work on a portion of an animation sequence or many drawings from different layers. To do this, select the segment needed in one or more layers in the Xsheet or Timeline view and then use the drawing desk to allow you to work only on these drawings. 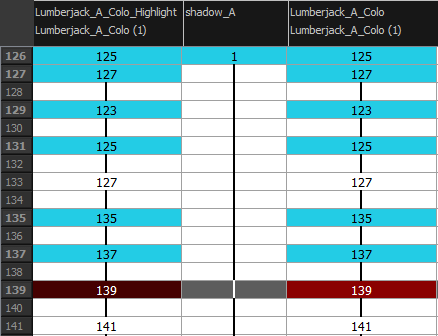 ‣ In the Xsheet or Timeline view, select a consecutive cell range from one or several layers. ‣ In the Xsheet view, hold down Ctrl (Windows/Linux) or ⌘ (Mac OS X) and click on any cell to add it to the selection, even if it is not consecutive. ‣ In the Timeline or Xsheet view menu, select Drawings > Send Drawings to Desk. ‣ In the Xsheet view, right-click and select Send Drawings to Desk. ‣ In the Xsheet view, hold down the Alt key and click on the selection. NOTE: The drawing desk is by default on the left side of the Drawing view. You can change its positioning in the Preferences dialog box. If the drawing desk side panel is hidden, click the Arrow button, located on the right side of the view. ‣ Alt + click the selection. ‣ Right-click the drawing desk and select No Thumbnail, Small Thumbnail, Medium Thumbnail or Large Thumbnail. ‣ In the drawing desk, select the thumbnail. ‣ Click the Move Drawing Up and Moving Drawing Down buttons as needed, to move it to the new position in the drawing desk. 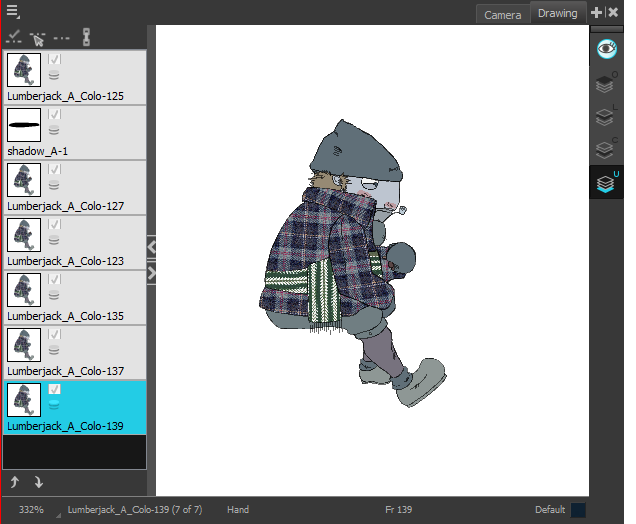 ‣ Right-click the drawing desk and select Remove Selected Drawings or Remove All Drawings. ‣ In the Drawing view, press Esc to remove all drawings.